Pretty deb dresses plus size the Annie. 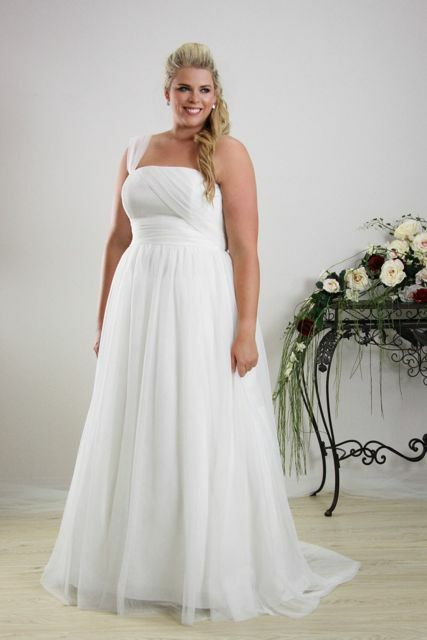 The Annie gown is proof that deb dresses plus size can be pretty and flattering. An affordable tulle gown that can be worn with straps or strapless. Check with your school first as each school has different requirements for there deb ball dresses. Off the rack and ready to wear gowns available at our Melbourne deb dress shop. 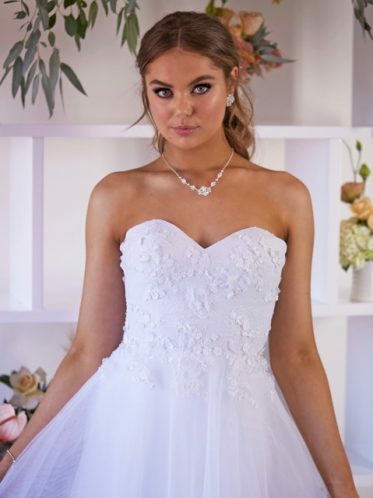 If you are thinking of having a strapless deb dress and love the style but would like more of a coverup. Consider adding straps or wearing a lace jacket over the top. There are many ways to make a simple deb dress into a look that is individual and truly yours. 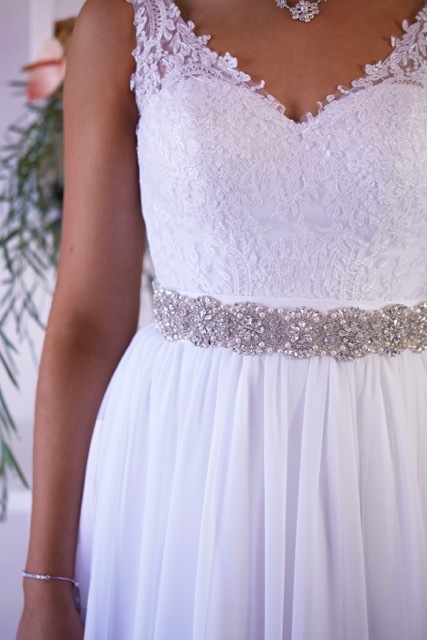 Add a sparkly belt to your debutante dress to add another level of sophistication to your gown. Leah S Designs also has deb jewellery that will compliment your gown. Maybe a beautiful pair of chandelier earrings to compliment your sparkly belt. Trained deb stylists to help. Trained stylists are here to help you put together the perfect look. If you are adding a belt we can help you choose earrings to compliment not only the shape of your face and hairstyle but also the rest of your accessories. Affordable sale deb dresses all year round. 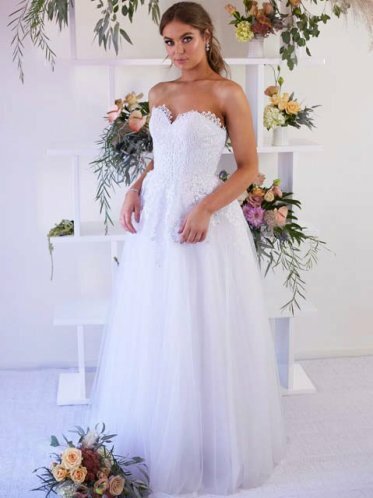 Buying your deb dress from the designer not only lets you have a design that is not in shops all around Melbourne. Also you will save money too. Sale deb dresses starting at $299 all year. Want something elaborate check out our wedding dresses with out trains.